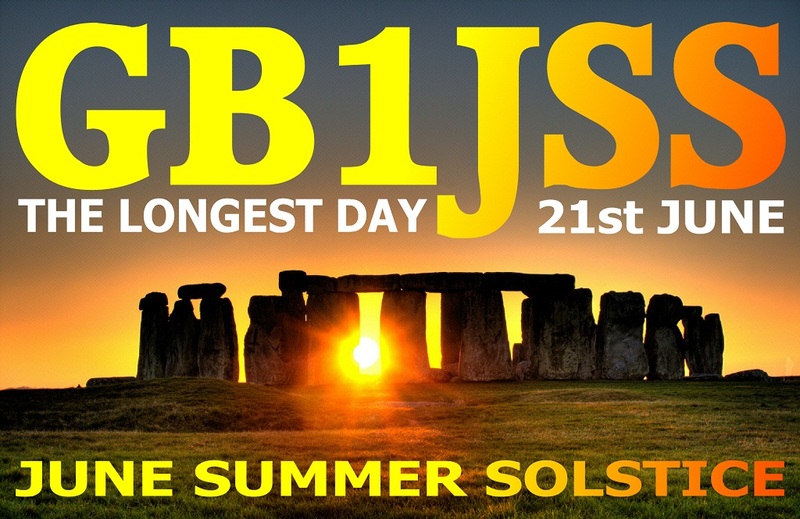 Special event station GB1JSS will be active on the amateur radio satellites during the Summer Solstice on Saturday, June 21, the longest day of the year in the Northern Hemisphere. The event is open to all radio amateurs and listeners. On that day the sun will rise at 04:43 BST (03:43 UT) and set at 21:21 BST giving 16 hours, 38 minutes and 19 seconds of daylight. Members of the Chelmsford Amateur Radio Society (CARS) will be operating from Galleywood Common (Grid JO01FQ WAB TL70 Postcode CM2 8TR) for much of the day, subject to weather conditions, the station will be active as early as possible. Planned operating time 9am-6pm. Steve Hedgecock M0SHQ, who recently gave a well received presentation on satellites at the CARS amateur radio skills workshop, with be bringing his amateur satellite station and hopes to operate as many satellite passes as possible. They’ll also be a station operating 40m-10m plus 2m using SSB, CW, PSK and RTTY. The day coincides with the first-half of the 50MHz Trophy Contest, so there may be some 6m activity if conditions are favourable. Wind-permitting, Peter Bridgeman G3SUY hopes to fly his impressive Kite Aerial and put out a strong signal on 160m using full legal power. Would you like to operate, help set-up the station or just come along for a visit? The station will be in the car-park off Margaretting Road next to the Galleywood Heritage Centre. If you’re coming from Wood Street, just turn right at the Eagle public house and then left at the “P” sign. There are toilet facilities at the adjacent Galleywood Heritage Centre.